The following early work (published in 1980) was the product of research during the decade of the 1970s and reflects a popular approach to the subject by an enthusiastic, young writer in that period. 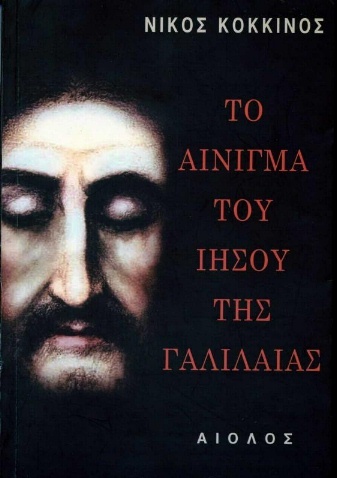 Appearing shortly after the widely publicised books of conspiracy theories, The Passover Plot and Jesus ou le Mortel Secret des Templiers, as much as appearing long before The Holy Blood and the Holy Grail or the more recent The Da Vinci Code, it became temporarily a Greek bestseller, creating waves of criticism in the Greek media and the Orthodox Church. But many things have changed since and the recent edition (2007) includes a substantial new introduction (about 17,000 words) discussing some of the reactions to the book, while revising older views and briefly updating some of the evidence now towards an academic direction. Greek Paperback Edition = Athens: Chryse Tome (1st edn 1980; 2nd edn 1982); Athens: Alevizopoulos Publications (3rd edn 1983). No ISBN number. 20.5 x 14 cm. 400 pp. 20 illust. (out of print). Greek New Paperback Edition = Athens: Ekdoseis Aiolos, 2007. ISBN 978-960-521-191-2. 20.5 x 14 cm. xlvii + 400 pp. 20 illust. Buy from Aiolos.